Got a sweet tooth? You&apos;ll want to get this blend. 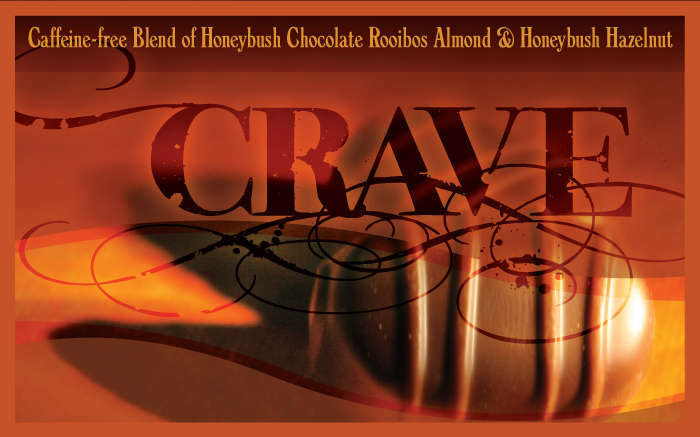 Chocolate, Hazelnut and Almond flavors without calories or the caffeine. Once you&apos;ve had it, you&apos;ll keep craving it. What inspired the latest round of ultra-sweet confection blends was a quick, sobering look at the caloric content of the thick, heavy cold drinks at starbucks. These blends taste better, in my humble-yet-totally-biased opinion, and without question are infinitely healthier! Watching your figure? Watching your wallet? Worried about mysterious chemically ingredients? These teas can help! I suggest dedicating a couple of ice cube trays to tea blends in the summer. Let the rooibos and honeybush based blends steep until they&apos;re cool, then pour them into the ice cube trays. Once they&apos;re frozen, pop some in the blender and shazaam -- you&apos;ve got yourself a guilt-free swirlyfrappo-type treat that tastes better, and costs less! Yay! 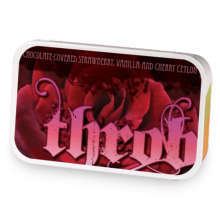 Crave has hooked up with Throb.